[2:23] <[Saint]> Anyone have even the slightest clue what's going on here? [2:23] <[Saint]> Absolutely clean install of Raspbian Lite with nothing more than an apt-get update and apt-get dist-upgrade, and then running rpi-update. [2:35] <ali1234> what is wrong with that? [2:38] <[Saint]> bah, sorry - typing. [2:38] <[Saint]> tl;dr: passing 'BRANCH=next' actually appears to /downgrade/ the kernel. [2:39] <ali1234> why do you think the next branch is 4.4.6? [2:39] <[Saint]> because I meant .16, and it was a typo. [2:40] <[Saint]> The largely inexplicable part is why BRANCH=next is apparently a lesser version than BRANCH=master (equivalent to passing no BRANCH argument). [2:43] <[Saint]> So - what, they just stopped using the next branch, and forgot to tell anyone? Or...I miss the implication. Everything is supposed to hit 'next' first. [2:44] <[Saint]> Having master more current than next is absolutely inexplicable from my POV. [2:45] <[Saint]> At the very least it should be _as current as_ master. [2:45] <[Saint]> Else it largely defeats the purpose of a public staging branch. [2:46] <[Saint]> I appreciate the input, and I understand your line of reasoning, but it doesn't really make it make any sense. [2:49] <[Saint]> seems like there's no way to pull both the latest kernel and firmware without micromanaging either one or both. [2:52] <[Saint]> yeah - in what world does that make any sense? [2:53] <[Saint]> someone seems to have confused the hell out of me by making up their own rules for how they think a staging branch works. [2:54] <[Saint]> I really can't think of any other project offhand where that would be acceptable. [2:57] <[Saint]> I'm not entirely certain of who I need to prod with a "what on Earth are you doing? And is it intentional?" query. [3:01] <[Saint]> god, is it too hard to have a metapackage for this? [3:02] <[Saint]> to actually track current firmware and kernel either independantly, or separately? [3:02] <[Saint]> Sure you can. [3:02] <[Saint]> You just can't expect it to work with any certainty. [3:03] <[Saint]> But that's true of a metric craptonne of things. [3:04] <[Saint]> yes, we used to have a 'raspberrypi-firmware-next' metapackage, and a raspberrypi-kernel-next' package from memory. [3:04] <[Saint]> tracking the release isn't terribly interesting to me in this context. [3:11] <[Saint]> Guess I just trash the raspberrypi-bootloader package in favor of *-nokernel and manage that side of things myself. [3:53] <[Saint]> not sure what happened there. [3:55] <[Saint]> it has only recently fallen behind master in odd locations. [3:55] <[Saint]> it certainly used to be used as a staging branch. [3:55] <[Saint]> you'd think they'd actually tell people. [3:56] <[Saint]> RPF should scrape it from their documentation, then. [3:57] <[Saint]> If it's not recommended, someone really screwed up when they added it specifically to the documentation that was fairly recently written. [3:59] <[Saint]> I mean they state in the doc that it isn;t recommended to use, but that seems counterproductive when they then go on to explain its function and how to update the firmware manually. [3:59] <[Saint]> Seems kinda middle of the road. It's either supported or it isn't. [4:01] <[Saint]> I don't consider the forum to be documentation and I doubt anyone does. [4:01] <[Saint]> https://www.raspberrypi.org/documentation/linux/kernel/updating.md however, clearly is. [4:02] <mfa298> Im assuming the documentation you saw was saying something similar. [4:04] <[Saint]> Nor does it not. [4:05] <[Saint]> The implication there as I parse it is that rpi-update is a supported, albeit not recommended, update mechanism. [4:05] <[Saint]> I guess you and I parsing different things from this suggests one critical factor we can both agree on. [4:06] <[Saint]> Ambiguity is dangerous. [4:06] <oq> hardly ambiguous, they literally say, "It is highly recommended to update your kernel as part of your regular system updates instead of manually updating it." [4:07] <[Saint]> Sure you can. [4:10] <[Saint]> Is there actually anything they're doing that hasn't been mainlined anyway? I'd be mildly curious as to wht, if so. [4:10] <JakeSays> its to support their pitft displays. [4:11] <mfa298> I'm not really sure how you can read "You can also manually update the Rasperry Pi stock kernel, but this is not recommended." as please go ahead and use "rpi-update BRANCH=next" to update your kernel as you seem to have done. [4:17] <[Saint]> I guess the main issue I have is that absolutely nothing makes it clear that the 'next' branch isn't a staging branch in the conventional sense at all, apparently. Either by accident or deliberacy. [4:18] <[Saint]> I can very easily read that it isn't considered a recommended action, but absolutely nothing makes it clear that attempting to track next can actually downgrade the system and leave you in a horribly broken state. [4:18] <[Saint]> It didn't behave this way until fairly recently. [4:20] <[Saint]> I guess secondarily, if it's not recommended, then there doesn't appear to be any reason to acknowledge that it exists. [4:21] <learjet60xr> do you happen to know anything about it? [4:22] <[Saint]> "and also I have 2 pieces of the 3 one" - what the!?! [4:22] <[Saint]> ...that sounds like a story. [4:26] <[Saint]> Whereabouts did you acquite this image? [4:27] <[Saint]> I would expect ftp://ftp.freebsd.org/pub/FreeBSD/snapshots/arm/armv6/ISO-IMAGES/11.0/ to be valid. [4:27] <[Saint]> No, sorry. "Where did you get this image from?" [4:28] <[Saint]> Aha. I have no idea if that project is actually associated with FreeBSD at all. It seems to be just some random dude's images. [4:28] <[Saint]> I would expect the url supplied above to be functional. [4:29] <[Saint]> 'rainbow screen' can mean a couple of things, though. Most obvious one being an idirect result of an inadequate power supply. [4:31] <[Saint]> So before you go about re-imaging the raspberrypi sdcard with a known image, it might be worth considering checking that the power supply and/or cabling is adequate. [4:32] <learjet60xr> okay so should I go with the one you gave me? [4:33] <[Saint]> learjet60xr: You probably should, yes, but first it would be advisable to check that the power supply is adequate. [4:33] <[Saint]> Like, you're not trying to power this from a USB host on your PC, for instance, are you? [4:34] <[Saint]> "Is the pi getting enough power?" [4:34] <learjet60xr> should I use something different? [4:35] <[Saint]> Without knowing the specs of the charger that's difficult to say. [4:35] <[Saint]> Apple makes everything from 600mA to 3A supplies from memory. [4:35] <learjet60xr> what would you suggest? [4:35] <[Saint]> You should tell us the rated supply of the charger you're using. [4:35] <[Saint]> It will be clearly listed. [4:36] <learjet60xr> what are the ratings that we should be talking about? [4:36] <JakeSays> learjet60xr: look on the charger. you should see something like "output: 5v <some number>a"
[4:37] <[Saint]> Then yes, that's perfectly adequate. [4:37] <[Saint]> Well...assuming it's not blatantly lying and is a genuine charger. [4:37] <[Saint]> If you have access to a multimeter that would be ideal. [4:39] <learjet60xr> wichone should I choose? [4:39] <[Saint]> One is the checksum, one is the image, they are names pretty clearly. [4:41] <[Saint]> Well, one of them is only 1kb :) I think you would've figured it out yourself eventually. [4:41] <[Saint]> No. No it isn't. [4:42] <[Saint]> It's an external checksum to determine the validity of the downloaded file is desired. [4:42] <[Saint]> The checksum is used to determine if the image is intact and unmodified after downloading it. [4:42] <[Saint]> You can disregard this if you want to. [4:43] <[Saint]> That's correct. A/B doesn't matter, and Rpi2 images encompass Rpi3 as well. [4:44] <[Saint]> Anything built for the Pi 2 will also run on the Pi 3, there's no need to have dedicated builds for each. [4:45] <[Saint]> They're in about the same state Ubuntu is. [4:45] <[Saint]> unofficial 64bit kernel and userland that's pretty much entirely useless to end users. [4:46] <[Saint]> there's really no (read: extremely little) practical benefit to a 64bit kernel/userland on the Pi 3. [4:46] <[Saint]> It would be nice to have, but it isn't going to open amazing new realms. [4:47] <JakeSays> i want it for the same reason i wanted a 64bit phone - so i can say "hey my pi is 64bit!" [4:48] <[Saint]> JakeSays: if it's any consolation, your phone is almost certainly a mixed 64/32 bit env running in 32bit fallback anyway. [4:50] <[Saint]> I can't actually think of any phones that actually do have full 64 bit system images. Though I'm willing to believe they exist. [4:50] <JakeSays> [Saint]: yeah i dont really care. it sounds cool with 8 64bit cores. i make calls and text my wife and read. thats about it. [4:51] <[Saint]> Oh. Hmmm. Yu looks like they have a couple of actual 64 bit devices. [4:52] <JakeSays> not sure what you mean by actual 64bit devices. [4:53] <[Saint]> As in not just 64bit hardware running a 32bit OS. [4:56] <[Saint]> I would be very highly surprised if it were. Not impossible, buy in my experience very unlikely. [4:57] <[Saint]> Yes. But that doesn't exclude masses of dependent libraries being 32bit - which is often the case. [4:58] <[Saint]> Perhaps try telling us what it is exactly that you're doing. [4:59] <learjet60xr> so after you download the file, do you need to do anything else besides extracting it into the ssd card? [5:00] <[Saint]> learjet60xr: you don't extract it to the sdcard at all. [5:00] <[Saint]> there's the problem. [5:00] <learjet60xr> so what do you do with that file? [5:01] <[Saint]> You extract the archive (not to the sdcard), and then use a block level tool like dd to write the image file to the sdcard. [5:02] <[Saint]> hypermist: the more valuable lesson I would think to be "Backups. Online, offline, nearline. Backs backups backups"
[5:03] <[Saint]> learjet60xr: so, as described in https://www.raspberrypi.org/documentation/installation/installing-images/linux.md ? [5:04] <[Saint]> As I said above, you must extract it. [5:04] <learjet60xr> do I dd that file into the sd card or do I have to do something different? [5:05] <JakeSays> HOLY crap it booted! [5:07] <[Saint]> Why are you wanting to disable hardware float? [5:10] <[Saint]> hypermist: yeah, generally speaking it is "safe" to hard power off devices in this fashion, it's just a dice roll as to whether or not you're going to be writing to something critical at the time. [5:19] <learjet60xr> can you install freenas on a raspberry pi? [5:23] <JakeSays> as to its practicality..
[5:24] <AnonRecluse13> wouldnt it be shitfully slow? [5:24] <[Saint]> who wants a USB2 NAS when half of the bus is shared with the network controller anyway? [5:25] <[Saint]> better off plugging a USB thumbdrive into your router and calling it a day if you're not spoiled for choice. [5:27] <[Saint]> lots and lots and lots of compiled binaries therein? [5:28] <[Saint]> Ohhhhhhh, yeah, you could limit that, like, a lot. [5:29] <[Saint]> hilariously most of that size comes from abandoned (and now empty) branches. [5:29] <[Saint]> you could do a checkout with depth -1 or so, for example. [5:30] <[Saint]> Iceweasel/Firefox is in a similar state. [5:30] <[Saint]> Really massive source tree with very little of it actually being aplicable to the current release. [5:35] <[Saint]> it isn't, and, that's a good point. [5:36] <[Saint]> but, you'd still be limited to USB2, which, for a NAS is just gross. [5:36] <[Saint]> Only marginally faster than writing the bits out on paper by hand and then mailing them to yourself using domestic post. [5:46] <[Saint]> JakeSays: Hmmm, I see. So I guess you're just checking out the full repo instead of a specific branch then? [5:47] <[Saint]> Interesting. I knew Chromium was large, but...damn. [5:48] <[Saint]> Chrome is absolutely enormous. [5:50] <[Saint]> Not like Chrome was small to begin with, but ever since it started to inherit WebView it jumped pretty dramatically. [5:51] <[Saint]> Yes. Yes it does. WebView will be Chrome supplied going forward. [5:53] <[Saint]> Are you aware that system supplied WebView will be dropped even if present in Android N and not updated if Chrome is present and that Chrome supplies the WebView instance? [5:55] <[Saint]> not could, are. [5:56] <[Saint]> needn't take my word for it. [5:56] <[Saint]> Yes. Like I said. [5:56] <JakeSays> and yes, chrome will provide webview, but chrome does not derive from webivew. [5:59] <[Saint]> In the scheme as it exists now it's actually kinda weird. Even if WebView is supplied separately it'll just be silently ignored and not updated until such time as you either remove Chrome or switch the WebView instance in the developer settings - but Chrome will always use its own instance. [8:21] <lkthomas> hey folks, how could auto start GUI application when X launch ? [8:44] <Drakorra> hi anyone around? [9:43] <kerio> is that a bad thing? [11:35] <Armand> grandpa: You need your slippers ? [12:03] <sandersr> Hi. Is it possible to use vc4 driver with official rpi lcd screen? [12:17] <mfa298> so four chars becomes around 100 ? [12:21] <Voop> TheCubeLord, do "Hello World!" [12:26] <reloafaa> can i use raspberry pi 3 model --will it support virtualbox?? will virtualisation work in it? [12:32] <mfa298> not sure it can really do virtualisation in the true sense, but it can do emulation. [12:35] <Sadale> I guess that would be very slow. [12:47] <reloafaa> mfa298: so virtualbox will work in my raspberry pi 3, arch arm? [12:48] <reloafaa> the booting of .iso images? [12:49] <gordonDrogon> good time of day, Pi Pips! [12:53] <lastaid> isnt this the same? [12:53] <gordonDrogon> more or less. [12:57] <shauno> imho it's safer to pretend time doesn't exist. it hurts less than the alternative. [12:58] <lastaid> "well what are you building" - "a clock"
[13:25] <Zeno`> it's very good! [13:30] <gordonDrogon> you can lasercut gears ..
[13:31] <lastaid> Zeno`: what am i looking at ??? [13:32] <thykka> in which calendar? [13:33] <thykka> what about Oct 14th 1582? [13:34] <gordonDrogon> I'm not complaining..
[13:35] <thykka> Gregorian Calendar, year 1582; "the year continued as normal until Thursday, October 4. However, the next day became Friday, October 15"
[13:36] <lastaid> thykka: i'd like to wake up from a hangover when this happens and think "WOOOOW"
[13:37] <thykka> lastaid, would that be time travel? [13:37] <Zeno`> gordonDrogon, is that a challenge? [13:38] <Zeno`> well, I accept anyway! [13:39] <gordonDrogon> look at september. [13:39] <lastaid> what happend there? [13:40] <thykka> In the British Empire, it was the only year with 355 days, as 3-13 September were skipped when the Empire adopted the Gregorian calendar. [13:40] <Zeno`> wtf is going on there? [13:43] <gordonDrogon> so there's more anomalies for you - the Gregorian calendar may have been around since 1582 but it wasn't really adopted until 1752. [13:43] <Zeno`> came to an agreement." [13:43] <t3chguy> BurtyB: you alive? [13:45] <shauno> agreed. we need something to balance january's payperiod ..
[13:48] <PointyPumper> does anybody has any idea on why motion on OSMC (raspberry pi 2) is WAY faster than in raspian? [13:51] <pwillard> You imagine raspbian would be as optimized as dedicated OSMC solution? [13:52] <niston> switch to 500mbps internet or keep 125mbps ? [13:52] <Sadale> PointyPumper, that's probably because of hardware acceleration. [13:52] <Sadale> Raspbian probably do it by software. [13:53] <gordonDrogon> it might be the libraries they're linked against ... that might be the next thing to check. [13:54] <Sadale> I remember there is a thing called ocmx something that does hardware encoding/decoding. [14:07] <grandpa> is the ribbon cable for the camera the same thats used for the display? [14:17] <Zeno`> but I love them! 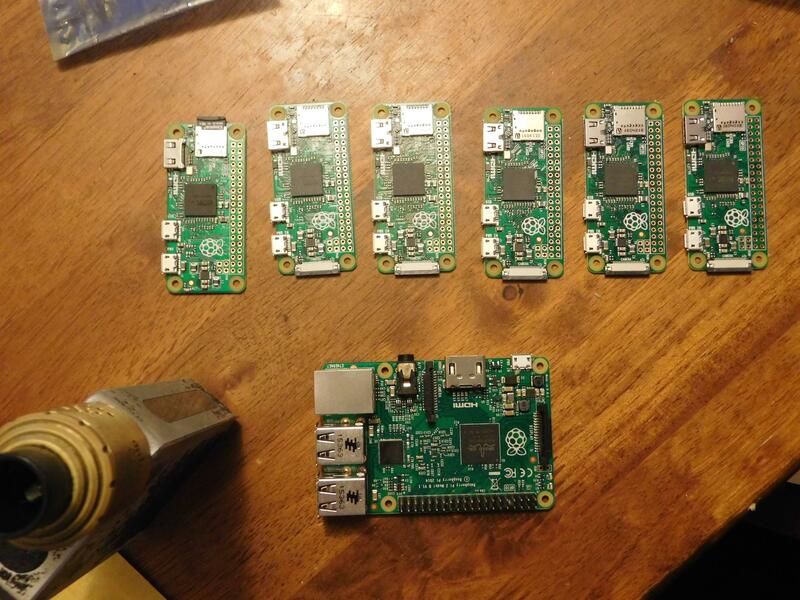 [14:18] <t3chguy> BurtyB: will the ClusterHAT fit ontop of one of Pimoroni's Pibow Coupes? [14:29] <Zardoz> I see, belt? [14:29] <Zeno`> yeah, belt would be cool! [15:00] <battery> how can i drop my nick? [15:06] <battery> thykka: i did it. [15:23] <grandpa> swab the poop deck! [15:23] <grandpa> batton the hatches! [15:44] <Zeno`> they be spiders! [16:26] <Ascavasaion> t3chguy: Very nice. [16:26] <greenmaker> Does anyone use syncthing on a raspberry pi 3? [16:26] <Ascavasaion> t3chguy: Even for us lowly individuals stuck at the southern most tip of Africa? [16:28] <Ascavasaion> t3chguy: Was teasing you. [16:28] <Zeno`> where is Australia? [16:29] <Armand> Who is this "Australia" ? [16:29] <Armand> Sounds like it..
[16:29] <Ascavasaion> Zeno`: Australia is at the southern and northern most tip of Australia. [16:38] <greenmaker> Anyone uses syncthing on the raspberry pi here? [16:49] <Drzacek> Zeno`, you didn't switch to e-kangaroos yet? [16:55] <Strontium> Udate to my uart problem. Yes my RPI3 now has a dead UART both TX/RX on it are dead. I confirmed by buying a new RPI3 today, which works fine. [16:55] <Strontium> Really wish people making these kinds of boards splashed out on some basic IO pin protection, a few transorbs would go a long way. [16:57] <Chillum> it shows the direction of a magnetic field on 3 axis, why is that not enough? [16:58] <ali1234> "To determine compass headings using a magnetometer,the device must be level to the earth’s surface"
[16:59] <Strontium> SopaXorzTaker: nice try, I can still use it im only using the Uarts for some kernel debugging. [17:03] <ali1234> also for full orientation you need to know not just the heading but also "up"
[17:04] <Strontium> funny, it seems you have unresolved anger towards electronic circuits. Must be an engineer. [17:05] <Strontium> I can empathise. Never had an Acer product I like or that was reliable. [17:05] <Zeno`> gordonDrogon, did you get my message asking for help? [17:06] <Zeno`> about the spider webs in my flour? ! [17:13] <Zeno`> gordonDrogon, maybe moths? [17:15] <Ascavasaion> Eating insects is better than being eaten by insects. Unless you are dead, then it does not matter. [17:15] <Ascavasaion> Moths spin silk. [17:16] <ali1234> the actual adult form? [17:18] <Zeno`> oq an allergic reaction from what? [17:20] <Ascavasaion> ali1234: True... you knew what I meant. [17:22] <Zeno`> ali1234, yes I suspect "cocoons" and they are made of...? [17:22] <Ascavasaion> Weevils make threads in flour etc.? [17:22] <ali1234> well, are you allergic to shellfish? [17:24] <Armand> More for me!! [17:25] <ali1234> Zeno`: so according to wikipedia the cocoon may also contain caterpilliar hairs which may be "irritating"
[17:34] <gordonDrogon> Zeno`, hello - sorry been away baking..
[17:36] <gordonDrogon> and going back to the bakery now... back later. [17:59] <lastaid> ... how do i supress those bloody alignment exceptions? [17:59] <lastaid> suppress, not fix! [18:02] <methuzla> control their means of production, spread misinformation through media, and...oh, wait. what are we suppressing? [18:03] <lastaid> But seriously. i am working on the pi and my qt program is getting alignment exceptions. can i supress them and get overhead when handling arrays or do i need to fix them? [18:03] * IT_Sean idly muches on some breffast. [18:24] <battery> can i come here tomorrow? [18:26] <battery> Zeno`: thanks anyway Brides is repeater? [18:28] <battery> Bridges == repeater? [19:00] <Zeno`> would a speaker be able to be controlled via the GPIO, connecting the GPIO pin the to base, a separate voltage (I dunno... maybe 5-9V) connected to the collector and the emitter connected to ground? [19:04] <curlyears> This Olde Phart has deigned to impose himself on you filk. [19:05] <gordonDrogon> ho ho ho. [19:05] <Zeno`> if the speaker was between the separate voltage source and the collector? Is that right? [19:06] <curlyears> so where in the name of <nasty words elided> are we going going going? [19:08] <gordonDrogon> like I said - not recommended. use a flyback diode at the very least..
[19:08] <gordonDrogon> that's using my softTone library. [19:08] <gordonDrogon> I never got round to documenting & releasing the capacitive touch library. [19:08] <gordonDrogon> mostly because its not very stable. [19:09] <Zeno`> the transistor idea is solid in theory at least though? [19:10] <gordonDrogon> actually, they use a darlington, but... see bottom right of that image. [19:11] <Zeno`> what's the cap do? [19:13] <gordonDrogon> it's a darlington pair. [19:14] <gordonDrogon> both are inside one package. google darlington transistor. [19:16] <gordonDrogon> for most intents & purposes it gives you such a high gain that the output transistor is driven to saturation, so it acts like a good switch. [19:20] <IT_Sean> gordonDrogon, You are _not_ a NutriMatics Drinks Dispenser. [19:24] <curlyears> IT_Sean: quit disparaging gordonDrogon! If he wants to be a NutriMatics Drink Dispenser that is HIS concern!!! [19:30] * curlyears doesn't even know what NutriMatics are. [19:31] <IT_Sean> philistines, the both of you. [19:32] <gordonDrogon> the nutrimatic drinks dispenser will give you something almost, but not quite like ... tea. [19:33] <IT_Sean> Nobody here wants a beverage that is almost but not entirely unlike tea, gordonDrogon. [19:33] <gordonDrogon> brought to you be the sirius cybernetics company. share and enjoy. [19:33] <IT_Sean> I'd quite like a cup of tea, thank you very much. [19:34] <curlyears> are you suggesting that the British have an inferior sense of taste, mfa298? [19:35] <Zeno`> oh, I'm not British but I *know* they have better taste! [19:36] <mfa298> some places dont seem to understand the concept of a kettle and boiling water. [19:37] <gordonDrogon> hm. just had a call from a shoppie/cafe I supply. they're out of cake. trouble is, so am I. Out of cake error. [19:37] <IT_Sean> 404. Cake not Found. [19:37] <gordonDrogon> not sure I can be bothered to make them cake tonight. [19:37] <IT_Sean> gordonDrogon, just tell them the cake is a lie. [19:38] <mfa298> that leaves the unfortunate part of Cake or Death left. [19:38] <gordonDrogon> they are hippys. they wouldn't understand. [19:38] <IT_Sean> So, their choises are "or death?" [19:38] <gordonDrogon> TwoNotes, yea, hard water makes for scummy tea. [19:40] <gordonDrogon> if it's that bad, go for a while house unit - not just the kitchen. [19:40] <IT_Sean> Your wet appliances (water heater, clothes washer, etc...) will thank you. [19:40] <gordonDrogon> I know folks here in hard water area have one fitted. [19:40] <gordonDrogon> I have a 3Kw electric kettle. 13 of our whole British Amps and 230 of our unified europeam volts. [19:41] <curlyears> gordonDrogon: and it goes from cold water to boiling in what, 1.5 seconds? [19:42] <gordonDrogon> curlyears, not sure - it only 1 litre though, so it is quite quick. [19:42] <IT_Sean> Over here in the Glorious People's Democratic Republic of Ameristan, we have to make due with inferior 110v service. [19:43] <IT_Sean> Yes, of course there is! [19:45] <oq> TwoNotes: I think apple started that trend with their "designed in california"
[19:46] <IT_Sean> does it make your tea taste of chineseium? [19:46] <gordonDrogon> https://www.youtube.com/watch?v=l1x699OfN5I << curlyears - video ok.
[19:47] <TwoNotes> Comem to think of it, the Barry's tea is probably from China as well. [19:47] <TwoNotes> "The guy who chose the tea blend was sitting in England at the time so, ... we get to call it ENglish tea"
[19:47] <gordonDrogon> There are now people in Cornwall - that's the county between lovely sunny Devon where I live and the .. well atlantic ocean who are growing tea. [19:48] * IT_Sean hooks gordonDrogon's kettle up to the 10kV transformer and makes tea much more quickly. [19:48] <Zeno`> oq, maybe that's where the name of the country comes from?! [19:49] <gordonDrogon> I think I'll make a jettle. [19:50] <gordonDrogon> it's supposed to be 230V here - in reality nothing changed, they just changed the allowed range appliances should work at, so it works over in yurp where they often have 220v. [20:09] <gordonDrogon> wish I had time to build a useless machine. [20:09] <gordonDrogon> I did build one out of lego though. you don't really need a microcontroller to do it. [20:11] <plum> do you think it's easily doable for a casual Pi user to make a useless machine? [20:12] <plum> or is that something that would more likely be just better to use an Arduino to do? [20:13] <bedah> raspi + conways game of life, without display! [20:13] <bedah> or noise generation, without speakers? [20:19] <SpeedEvil> TwoNotes: It's annoyingly more complex at times if you want tight repeatable deadlines on the Pi side. 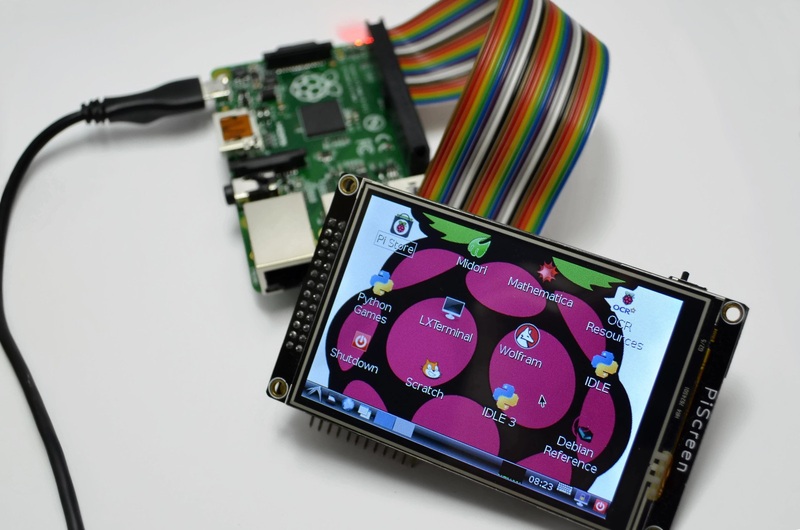 [20:34] <bedah> so.. raspi3, 7" touch display. i was able to rotate display by 180° - how to rotate the touch functionality? [20:41] <RoBo_V> motion resp using which video streaming protcol ? [20:43] <bedah> yeah shauno will try that after apt-get upgrade..
[21:27] <Zeno`> it's on the tip of my brain it just won't emerge! [21:28] <Zeno`> vdamewood, you come here as well? [21:29] <markmcb> anyone running volumio? good/bad? [21:42] <Zeno`> it's not an axel-f song is it? [21:53] <vdamewood> Zeno`: Hi. I'm in lots of channels. [22:12] <Zeno`> lol, that's it! [22:14] <Ascavasaion> now there is a game I remember playign. [22:48] <Sylph-DS> Hello. Does anybody here have experience with using a RPi3 as a (encrypted) vpn router? Or at least have some idea of how it performs? [22:52] <Sylph-DS> Yeah it would be just me using it. I´m going to be using a semi-public wifi a lot sometime soon and I want to keep my data private. I figured since the RPi3 comes with both wireless and wired networking I could use it as a router in between the wifi and my own network. [22:55] <Sylph-DS> Doesn´t the CPU on it have crypto instructions specifically for stuff like AES and SHA though? I remember reading something about that. [23:24] <IT_Sean> If you do manage to break it in an amusing manner, you are obligated to come here and tell us.